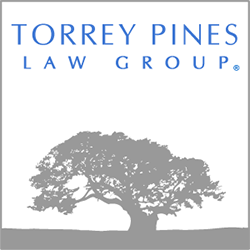 Torrey Pines Law Group, PC is an intellectual property law firm headquartered in San Diego, California. We represent innovators who create and commercialize cutting-edge technologies internationally. The firm's founder, Kevin Buckley, is a patent attorney having more than 20 years of experience with international patent and trademark matters, intellectual property transactions, international regulatory, and IP litigation. Our accomplished team of IP lawyers, patent attorneys, patent agents, business counsel, scientific advisors, engineers, and paralegals has delivered exceptional results in executing and resolving complex IP, transactional and contested matters throughout the world. Our clients have included international businesses, private companies, private research institutes, premier universities, hospitals, physician entrepreneurs, startups, entrepreneurs, artists, and entertainers, among many other innovators. Technical fields in which our clients operate include biotechnology, pharmaceuticals, medical devices, convergence technologies, physical and materials sciences, electronics, software, and agriculture biotechnology. Your success depends on the commitment of an experienced law firm, and we are the go-to team for securing, building, and defending your competitive advantage. Torrey Pines Law Group, PC serves technology innovators with protecting intellectual property internationally and throughout the U.S., including in major technology hubs such as San Diego, San Francisco, Palo Alto, San Jose, Silicon Valley, Boston, Cambridge, Chicago, Minneapolis, Houston, Dallas, Atlanta, Denver, Seattle, Portland, Boulder, Orlando, the Research Triangle (Raleigh, Durham, and Chapel Hill), the Mid-Atlantic (New Jersey, New York, Philadelphia, Maryland, Virginia, and Washington, DC) and throughout Southern California in Los Angeles, Orange County, Irvine, and La Jolla.